Header files contain function declarations and macro definitions. You can request the use of header files by adding a #include preprocessing directive in your source files. In the Project Explorer, right-click your project and select Edit Options. 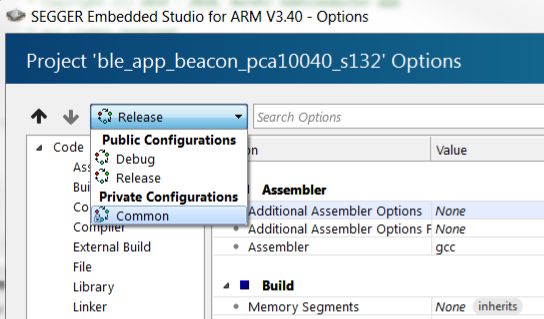 In the Project Options window, select the Common configuration (sorted under Private Configurations). Double-click User Include Directories and add the path to the folder that contains the header file. 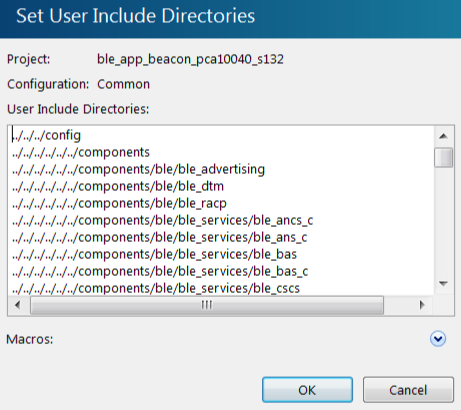 You can specify an absolute path or a path that is relative to the project directory. Using a relative path is preferable if you might want to move or copy your project to, for example, a new SDK version in the future.